How Can You Stop the NSA Using Google Play to Spy on You? Forget about Google collecting all your data Five Ways To Ensure Your Personal Data Remains Secure Five Ways To Ensure Your Personal Data Remains Secure Your data is you. Whether it is a collection of photographs you took, images you developed, reports you wrote, stories you thought up or music you collected or composed, it tells a story. Protect it. Read More . We already know that the tech-giant knows what you had for dinner last night and that your dog has got fleas. A more pressing question is how safe are you when using an app store? The nature of modern smartphones means the app store is one of a very small group of apps that is certain to be used by all owners of a phone, regardless of what else is on their device. As such, that makes it a very attractive resource, both for organisations and companies, and for criminals and hackers. What happens when the company is also the hacker? News recently broke about how the NSA intended to use Google’s app store for its own nefarious purposes. 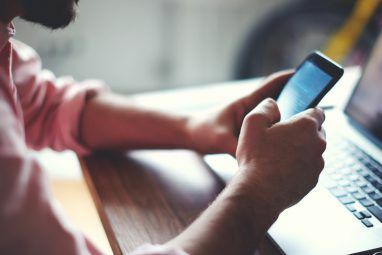 Last week, a “top secret” document obtained by CBC News in Canada revealed that the NSA and its international partners were supposedly working on ways to exploit smartphone technology for surveillance. The concept revolved around how a project named “IRRITANT HORN” would send malicious “implants” to targeted devices via an app store. 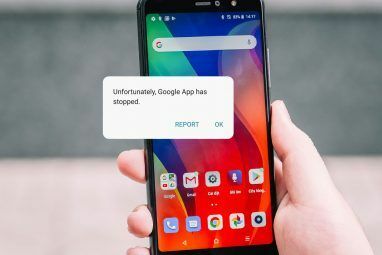 They planned to do this by targeting servers that are used by smartphones whenever someone downloads or updates an app from the Google Play store. These servers see massive amounts of data flowing through them from millions of smartphones all around the world. The security agencies hoped to match this data to information obtained from email records, chats, and browsing histories in order to build up a database of about people’s Internet use. Once this database was built up, the document claims they wanted to implant spyware on certain smartphones to take control of the device and extract details from it. Apparently the Samsung store was also targeted, although neither company has yet commented on the allegations publically. Unsurprisingly, the news has kicked off another round of debate over which is more important – national security or user privacy. Proponents of the NSA say that its work is directly responsible for protecting millions of people around the world on a daily basis from extremists and terrorists. Its critics says it goes too far and it’s an incursion into the basic human right of privacy 3 Ways Technology Can Be Used To Limit Your Privacy & Freedoms 3 Ways Technology Can Be Used To Limit Your Privacy & Freedoms Consumer technology is loaded with tools that can be used to record your habits, and use this data to target you with personalised adverts. How can the same tech impact privacy and limit your freedoms? Read More . As ever, the truth is probably somewhere in the middle. Is the NSA having the ability to hack app stores a good thing? Should they harbour vulnerabilities and actively try to break security as much as they do, and most importantly, what can you do about it? Most of the mobile phone users in the developed world now use a smartphone. Since Apple launched the original iPhone in 2007 the market has grown enormously – it is now estimated there are 1.75 billion users around the world. 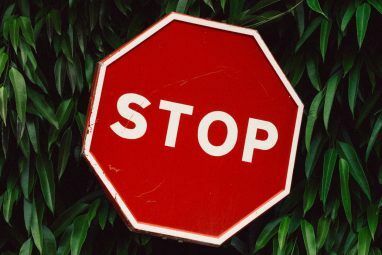 Unfortunately, smartphones are not very useful without apps – and if you’re a privacy conscious user who finds this latest news deeply disturbing, that’s a problem. Thankfully, you’ve got a couple of ways of giving the NSA (and other watchers) the slip. One such method is by side-loading apps, another is by using alternative stores. 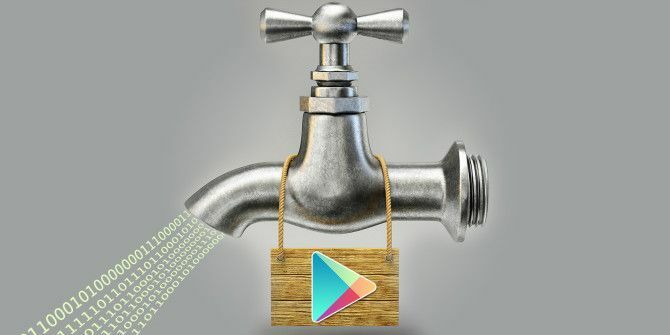 Christian wrote a fantastic guide about side-loading APK files How to Download an APK from Google Play to Bypass Restrictions How to Download an APK from Google Play to Bypass Restrictions Need to get your hands on the installable APK file for an app from Google Play? We got you covered. Read More back in February. The primary purpose of his article was to avoid geo-restrictions, but the same methods he outlines can be used to give the store a wide berth on your smartphone too. There are browser extensions and third-party sites that can anonymously extract the file from Google Play, then you manually install the APK on your device. Another option is to use non-Google app stores. There are lots of Google Play alternatives The 4 Best Google Play Alternatives for Downloading Android Apps The 4 Best Google Play Alternatives for Downloading Android Apps Don't want to use the Google Play Store? Or don't have access to it? Here are the best alternative app stores for Android. Read More out there – with some of the best being the Amazon Appstore, F-Droid, and Mobogenie. However, keep in mind that if Samsung’s store was reportedly compromised, there is a reasonable chance that some of these alternatives could be compromised as well. There are a couple of drawbacks to using non-official methods, such as those highlighted in Christian’s article. Firstly, what you’re doing directly contravenes Google’s Terms of Service. Secondly, and more importantly from a practical perspective, updates might not install correctly. This can leave you open to security vulnerabilities, and thus defeat the very purpose of what you are aiming to achieve. It could be argued that you’re fighting a losing battle. It seems like the only fail-safe way to protect yourself against NSA surveillance Avoiding Internet Surveillance: The Complete Guide Avoiding Internet Surveillance: The Complete Guide Internet surveillance continues to be a hot topic so we've produced this comprehensive resource on why it's such a big deal, who's behind it, whether you can completely avoid it, and more. Read More is to avoid using smartphones altogether. For most people that’s simply not an option. Instead, you might have to accept that until the NSA is deemed illegal What Does the NSA Court Ruling Mean for You and The Future of Surveillance? What Does the NSA Court Ruling Mean for You and The Future of Surveillance? A US appeals court has ruled that bulk collection of phone record metadata by the National Security Agency (NSA) is illegal. But what does this mean for your privacy? Are you still being watched? Read More or its practices are seriously revolutionised, you’re just going to be vulnerable. Do you accept that vulnerability? Perhaps you have some other methods that can scupper the NSA’s prying eyes? Have you found an app store that is guaranteed to be secure? Let us know your thoughts and comments in the box below. Explore more about: Google Play, Online Privacy, Smartphone Security. This debate is all fine and good, but it is a very slippery slope we are heading down. Sure there is a semblance of a functioning democracy remaining, but it is just that a semblance. One by one you are seeing your rights as a free citizen eroded away... to what end? You may have the right to free speech now, but will that always be the case? Free speech is a constitutional right just like the right to be secure in your person and effects without unwarranted search and seizure used to be a right. The US is currently a democracy however there is no garentee that it always will be. History always repeats itself. Imagine what a dictator like Adolph Hitler could have done with our information gathering apparatus. The framework for such a man to seize such power has already been laid in place. Sure some of you will say I'm a tinfoil hat nutcase because of what I have to say just like people did when a select few on the web knew about NSA spying programs via wikileaks years before the Snowden revelations . If you sacrifice your privacy and freedom now who is to say that your data will not be used against you in the future? Should a dictator come to power (I'm sure many of you think that can never happen) statements you make now supporting freedom or the constitution could have you labeled an enemy of the state. If I'm not a target, why worry? Worry because shortly after government can access your phone, advertisers will also. Rick, This is my first post on a website about this subject. I have been reading forums, news ect... name it I have read it. Your post is the best one I have come across so far that describes the situation right now. Ben Franklin said it best- "One who sacrifices his freedom for safety deserves neither" What ever happened to freedom of speach? Protection from unlawful search and siezure? George W.Bush,thats what. And his Patriot Act. That's right, blame everything on Bush. That paragon of democracy and fair play, Barack Obama, so far has not rescinded any of Bush's unconstitutional policies. In fact, he has expanded them. Whatever happened to "upholding the Constitution" Mr. Obama?! It's very easy. NSA spied because it did not have a choice. NSA is a Government agency, which is paid for knowing everything what it’s obliged by the Government to know. However, SQL is still the only technology NSA has. For the past 70 years SQL dominated search for electronic information. It's external to data technology, which helps to distill patterns and statistics based on queries, from outside to data itself, externally. SQL technology emanates from External Relations theory of Analytic Philosophy: students of Moore, Russell and Wittgenstein established IBM and everybody followed their path. However, there is Internal Relations theory, which is based on Bradley, Poincare and my ideas. In this theory patterns and statistics are found into structured data. What is the structured data? I discovered and patented how to structure any data: Language has its own Internal parsing, indexing and statistics. For instance, there are two sentences: a) 'Sam!’ b) 'A loud ringing of one of the bells was followed by the appearance of a smart chambermaid in the upper sleeping gallery, who, after tapping at one of the doors, and receiving a request from within, called over the balustrades -'Sam!'.' Evidently, that the 'Sam' has different importance into both sentences, in regard to extra information in both. This distinction is reflected as the phrases, which contain 'Sam', weights: the first has 1, the second – 0.08; the greater weight signifies stronger emotional ‘acuteness’. First you need to parse obtaining phrases from clauses, restoring omitted words, for sentences and paragraphs. Next, you calculate Internal statistics, weights; where the weight refers to the frequency that a phrase occurs in relation to other phrases. After that data is indexed by common dictionary, like Webster, and annotated by subtexts. This is a small sample of the structured data: this - signify - <> : 333333 both - are - once : 333333 confusion - signify - <> : 333321 speaking - done - once : 333112 speaking - was - both : 333109 place - is - in : 250000 To see the validity of technology - pick up any sentence. Do you have a pencil? You see Internal Relations theory in action. So, NSA shall soon to cease spying: what for? Being structured information becomes database: everything is unequivocally, unambiguously, uniquely classified, everything can be found in no time. The database is not for drug dialers, terrorists, criminals: NSA shall find, detect them at once. The bad guys should continue to stay in the jungles of unstructured data. Information will search for people based on their profiles of structured data or information can be easily found by its only true meaning, for instance into local databases. Each and every user can get only specifically tailored for him information; there is no any privacy issue (101% privacy), nobody ever will know what and who read. (No spam, by the way!) These profiles cannot be read and understood in any way - see the sample above? NSA should have no problems with my new Internet and no objections for spying. First, I agree with Mr. Pearce. The only middle ground is the Fourth Amendment approved search warrant obtained in a normal court by presenting evidence against a specific person. Second, as long as the NSA operates as it does, you're a fool to think stores not named, from Apple and Amazon on down through the alphabet, are not targets. You are also foolish to think that individual developers have not been convinced by the NSA to build in back doors.
" As ever, the truth is probably somewhere in the middle." This is a cop-out answer for someone who doesn't want to take a stand. Part of it results from the way Make Use Of depicts the battle as safety versus privacy when the simple fact is that this is about the Fourth Amendment which prohibits invalid searches and seizures. I personally don't believe there is a middle position when it comes to people's rights. They are either rights or they are not !. And people like Make Use Of who want to pretend there is a middle position are probably among the group who want the violation of your civil rights to continue in some form ! While I may have my own gut feeling and basic stance on many issues, I also realize there are at least two sides to every argument, and each side may very well have valid points. Even if I truly believe I am in the right on something, that doesn't mean the other side doesn't have valid concerns too. While I consider myself to be neither liberal nor conservative overall, and tend to dismiss people who always lean far to one side on every issue, that doesn't mean I don't lean far left on some issues and far right on others. But I'm also willing to compromise on many things. Is this one of them. My gut feeling is no, I want my privacy protected. I don't want the NSA overreaching as they obviously have been for quite some time now. But...that doesn't mean I want the privacy of a foreign or domestic terrorist protected. Do I have a solution. No, I'm not that smart, but I'm not willing to say that there should be absolutely no NSA surveillance on anyone either. Do I want my privacy protected? You are damn right I do! I don't want the government knowing every move I make. (Nor do I want big companies knowing the same unless I know they are doing it and I willingly agree - as is the case in using Google services). But at the same time, do I want another 9-11 style attack or even worse. Hell no! To say the middle ground is a cop-out is the very reason our Congress has been worthless and unable to do virtually anything the last 8 years. There are too many people there who are so far left and so far right that they won't compromise on anything and the whole country suffers as a result. There may be 2 sides or more to every issue but that hardly means that one or none of the sides can't actually be the correct answer. This continual addressing of the privacy versus security issue totally overlooks that the law was pronounced invalid for a totally different reason of violating the Fourth Amendment; and that the view of security versus privacy is actually irrelevant to that. In my opinion, it is just meant to be a big cover to place this false choice before people to confuse them. It is about invalid searches and seizures .... not privacy versus security nor content either. I'm all for eliminating invalid searches and seizures. And I like your thought that there are some issues that every side may be wrong about. I really like that!